On a trip to northern New Mexico last weekend I stopped to visit two of the Salinas Missions. 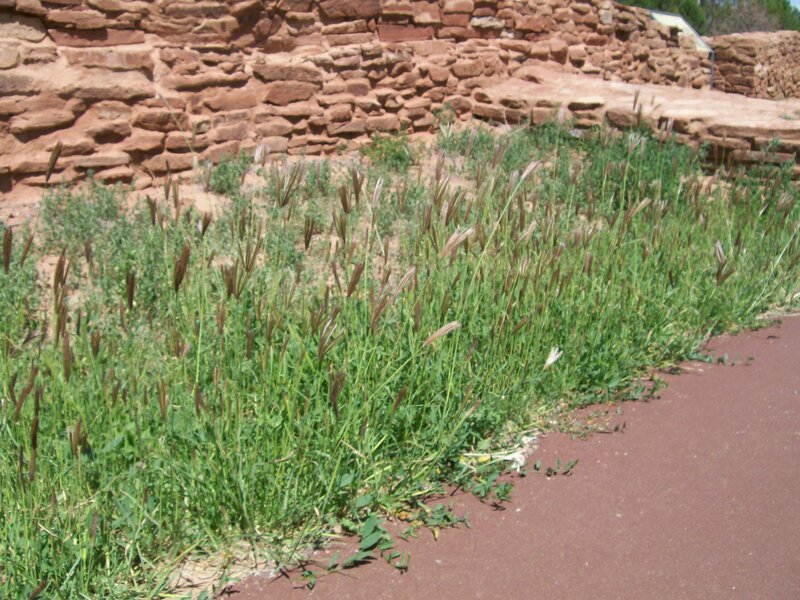 The Salinas Pueblo Missions National Monument, established in 1981, consists of three separate sites. 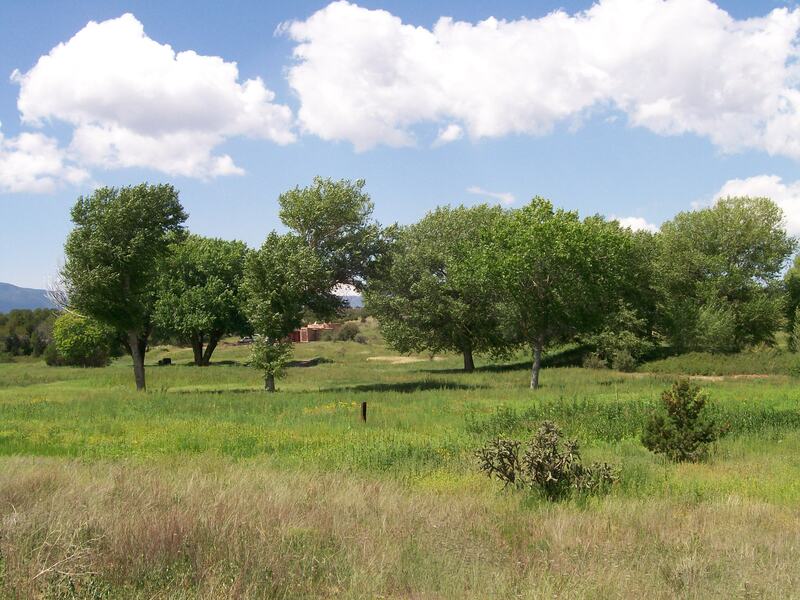 Each was once a native American pueblo, inhabited by people who spoke Tiwa. Each became a Spanish mission site, with a big church and a number of outbuildings. At only one site, Gran Quivera, is there much of the pueblo to see. I visited that place quite a few years ago, before I had a digital camera. Now that I’ve seen the other two, I am eager to go back. This post is about Quarai, located north of Mountainair. The church there is the best preserved and is often photographed. Below is an attempt to photograph a grass I don’t know the name of, which has quite large heads for a grass. I wondered if it is edible. 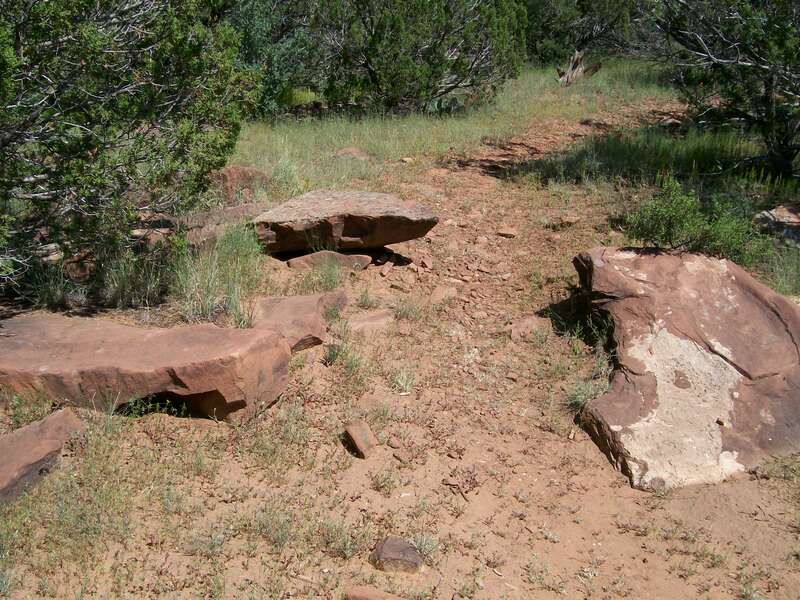 Quarai has a one mile “primitive” trail beyond the once settled area, where the “trail” is paved. It becomes clear that the stone for building did not have to be brought from far away. Looking from the trail toward the green near the entrance to the ruins I had complicated thoughts: this green is neither natural nor a reconstruction of what was there when the Spanish mission was operating. How hard the park service works, simply for our enjoyment! Our tax dollars at work. Two pictures show how different plants share space. 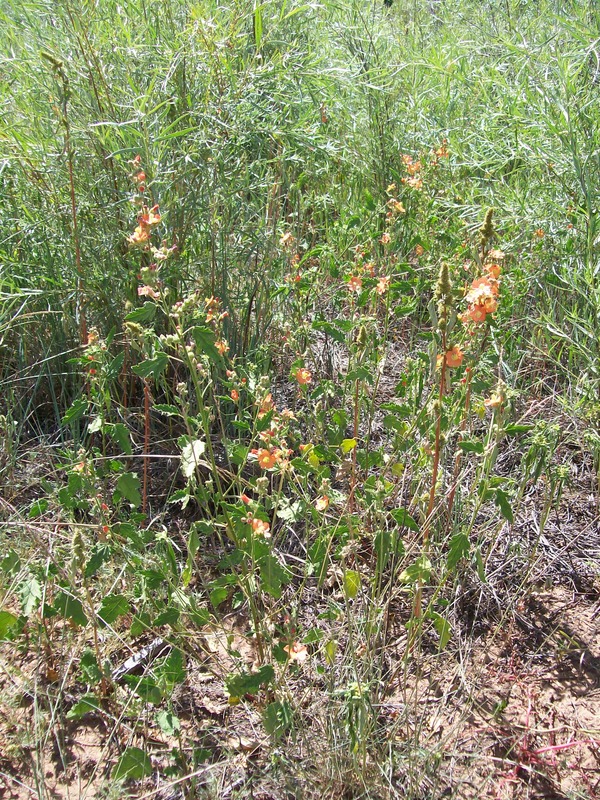 The first shows the orange flowers of desert globemallow, a plant which grows six feet tall and blows in the breeze in my back yard. 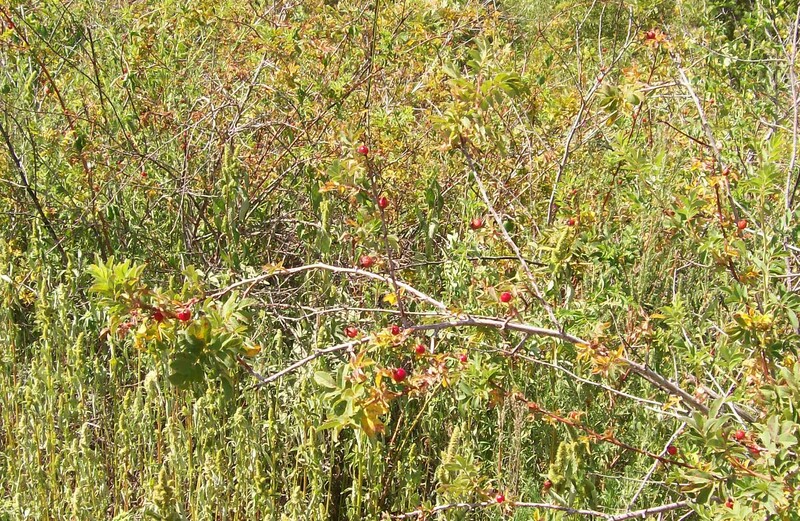 This second picture was an attempt to capture the sense of fall: red berries on what I believe is a sumac. It is so intertwined with other plants that it is hard to tell. 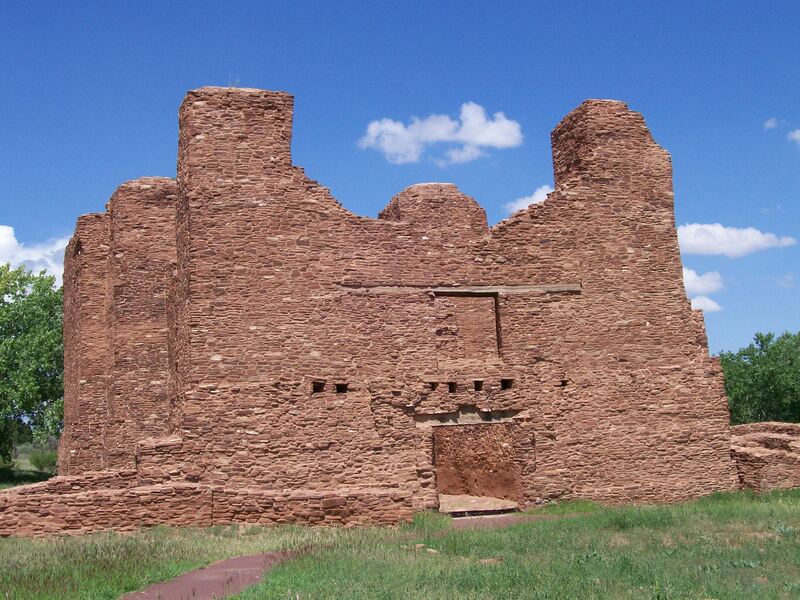 My next post will have pictures from Abo, the third of the three Spanish pueblo mission sites in the National Monument.